Women's UFC champion Ronda Rousey is brutal. She is an absolute destroyer of human flesh. She once beat up another woman so quickly the entire fight fit neatly into a GIF. It's also a known fact that she is a massive, massive Pokemon fangirl, to the point where she actually moderated a Pokemon forum back in the day. In a new interview, she discusses just how high level her Pokemon nerdery actually is. Spoiler: it's pretty high. The part when she goes into specific detail as to why Mew is her favourite Pokemon is a particular high point. Spoiler #2: it's because he is the originator of all the other Pokemon. For folks that don't want to listen to the whole thing, the Pokemon stuff starts at around three minutes. 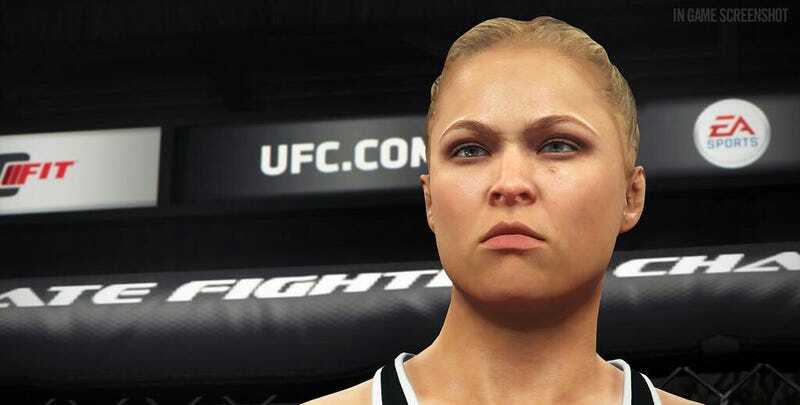 Ronda also discusses super important topics such as Mortal Kombat vs Street Fighter, Xbox vs PlayStation and what she would do if she was put in the same room as a T-Rex. All in all, this is a pretty great interview.